This has been a personal project undertaken to explore skin shading, Xgen grooming, and Zbrush detailing skills. 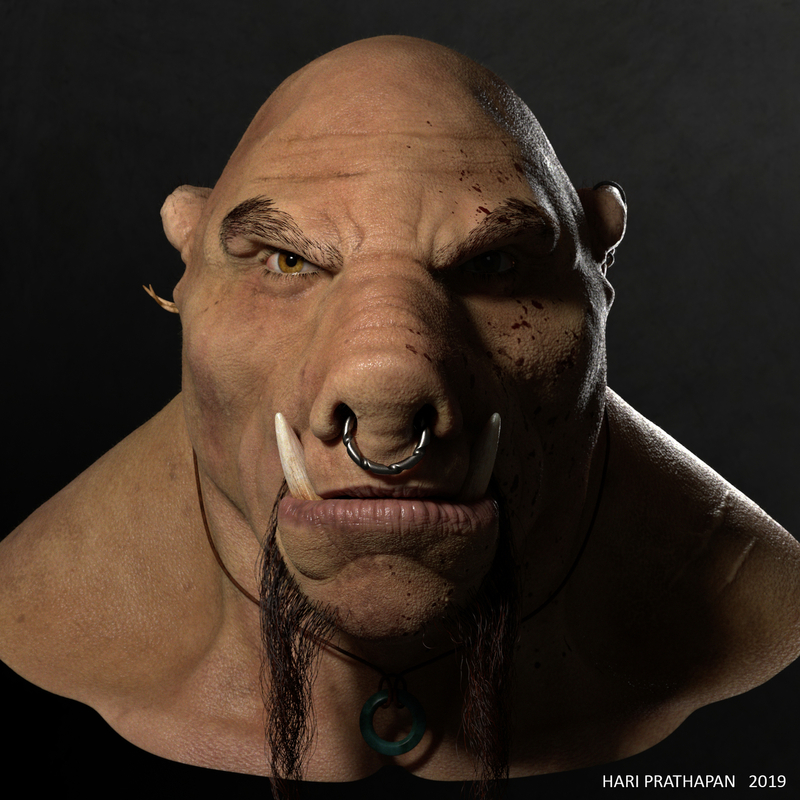 The Orc concept and the base model is from my friend Jaidev Singh who is a specialist Rigging TD. I have used texture xyz for color data and created several alphas brushes for skin detailing in Zbrush. I have sculpted facial fat tissues in Zbrush, texture painting in Mari, grooming using Xgen, rendering in Arnold and composting in Nuke.